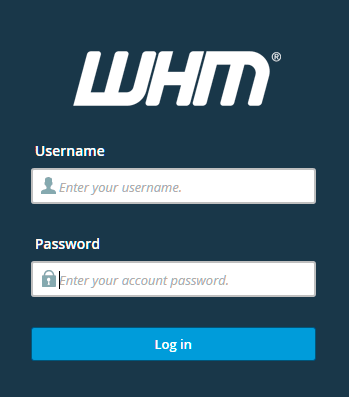 cPHulk is a security feature that locks down the cPanel/WHM logins, SSH, FTP, and IMAP/POP3 logins. These core services are locked down after too many fails from a single IP address. The lockout starts at whatever interval is set within the Configuration Settings panel and lasts for as long as defined in the IP Address-based Brute Force Protection Period field. You can also set blacklists and whitelists for IP ranges that you know will require special treatment. 5. Search for the IP address that your client has given you. In most modern web browsers you can search for text on the page by pressing Ctrl+F (Windows) or Command+F (Macintosh). The search results will show you the last set of blocks that occured for that IP address. Make a note as to when the blocks occured and the type of block. This way you can help your client determine why they got blocked and what passwords they need to reset to prevent the block from occuring again. 6. Click on the Clear Data for All Reports button to remove all the current blocks. ConfigServer Security & Firewall is your second firewall, and in some instances you may have to search its blocklist to ensure that your client hasn’t been permanently blocked. 7. Go to Home » Plugins » ConfigServer Security Firewall. 9. Search for the IP address and then click on the padlock symbol to remove it. 10. Go back to the main menu of ConfigServer Security Firewall and click on the Firewall Restart button. A new screen will appear confirming the restart. Scroll to the bottom of the page and click on the Return. This will take you black to the main menu of ConfigServer Security Firewall. 11. Click on the Firewall Deny IPs button. 12. As with cPHulk earlier will need to search for your client’s IP address. Once it has been located, remove it, and then click on the Change button. 13. A new screen will appear. Click on the Restart csf+lfd button. Another screen will appear confirming the restart. Scroll to the bottom of the page and click on the Return. This will take you black to the main menu of ConfigServer Security Firewall.